There is nothing quite so testing in the first year of parenthood than the misery and exhaustion of a teething baby. There is however very little understanding of the cause of teething pain and some experts even believe that it doesn’t exist at all. This last point is of course hotly contested by parents the country over. 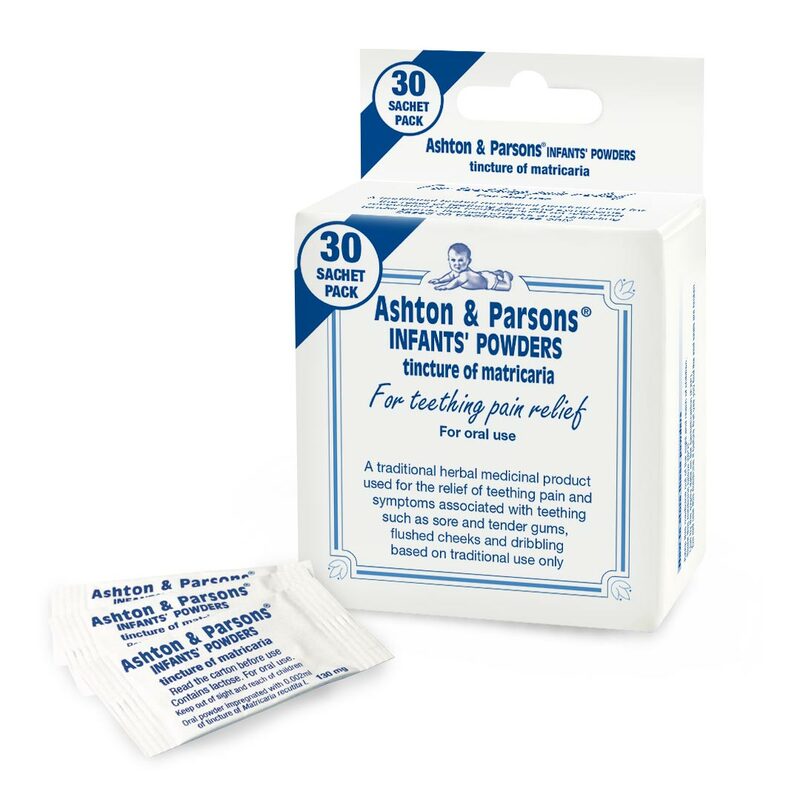 There are many teething remedies available from high street shops, such as Ashton & Parsons Infants’ Powders, which have traditionally been used to relieve the pain and symptoms associated with teething. This is one of the most lovely teething remedies in my opinion. For breastfeeding mothers, simply use expressed milk in a small lolly (popsicle) mould and give a popsicle to your baby to gently chew on. This one works especially well on hot sunny days to help cool baby down. There has been an explosion in soft rubbery silicone teething jewellery in the last few years. For good reason, they can be very effective. My favourite way to use teething jewellery is for mum to wear a necklace, this means that you always have it to hand. Some teething necklaces look so pretty you could mistake them for regular jewellery. They also double up as ‘fiddle beads’, something for your baby to twiddle while feeding, to keep their concentration, stop hair pulling and skin pinching. There is a school of thought that teething pain may be due to pressure in the baby’s gums. Providing counter-pressure therefore is often considered to be an effective remedy. After washing your hands (and trimming nails if necessary), use one clean finger to gentle massage your baby’s gums. If your baby is used to finger foods, perhaps because you are baby led weaning, you can use this to help them through teething. Keep some firm foods, able to be cut into chunky fingers, in your fridge and give them to your baby to chew. Carrot, cucumber and mango are popular choices. Similar to using cold foods, keeping your baby’s teething ring in the fridge may provide relief. Chomping down on a cool ring, that they are able to hold themselves, is a firm favourite of babies. Make sure that you only refrigerate the ring however, not freeze it. Freezing may cause burns to your baby’s gums. There is no doubt that a teething baby needs your love and attention, perhaps more than at any other time. This is not the time for sleep training, leaving them to cry, or encouraging independence. Pick your baby up and cuddle them as much as you can, and as much as they want. There is a scientific basis to this one too, cuddling helps you and your baby to release oxytocin and endorphins, feel good hormones with a natural anaesthetic effect. So not only can you help your baby to not feel so alone, but you may also help to relieve their pain. 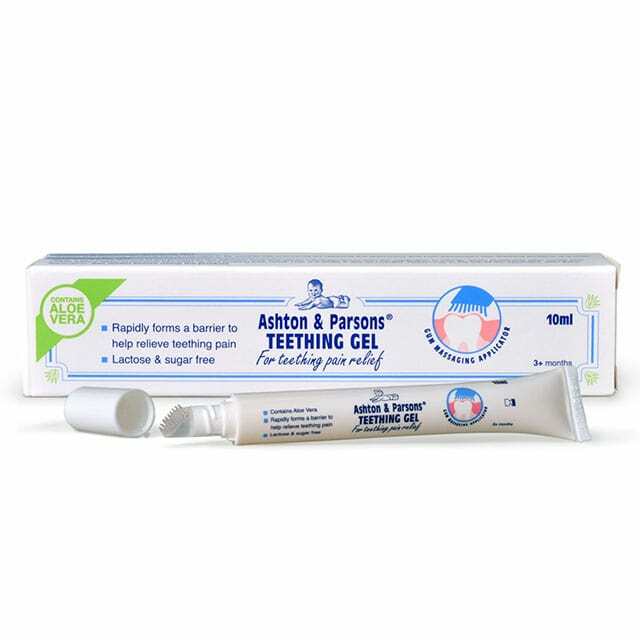 While it may be tough, for both you and your baby, remember that teething is transient. It will pass. Although it may feel like there is no light at the end of the tunnel, this won’t go on forever. You need plenty of patience and ideally support from others too. Taking care of yourself whenever possible is important too, after all, how are you going to take care of your baby if you’re feeling wrung out yourself?